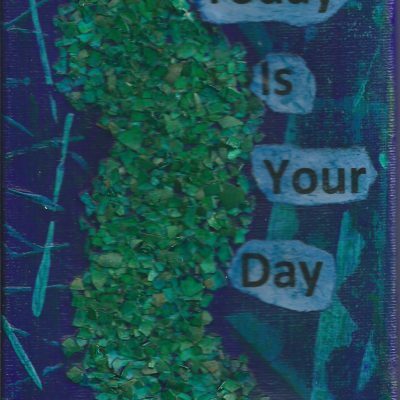 Original 5″ x 7″ mixed media painting on canvas with words “Today I gave up trying to live my life the right way and just lived it”. 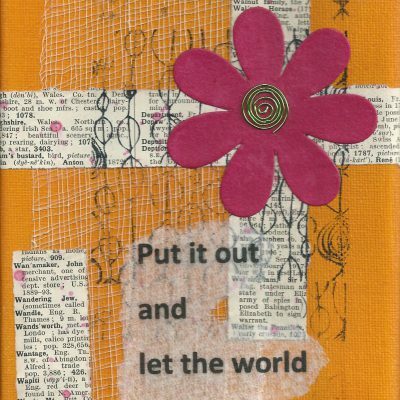 Created with acrylic paint and printed and recycled papers. Main colour is yellow. 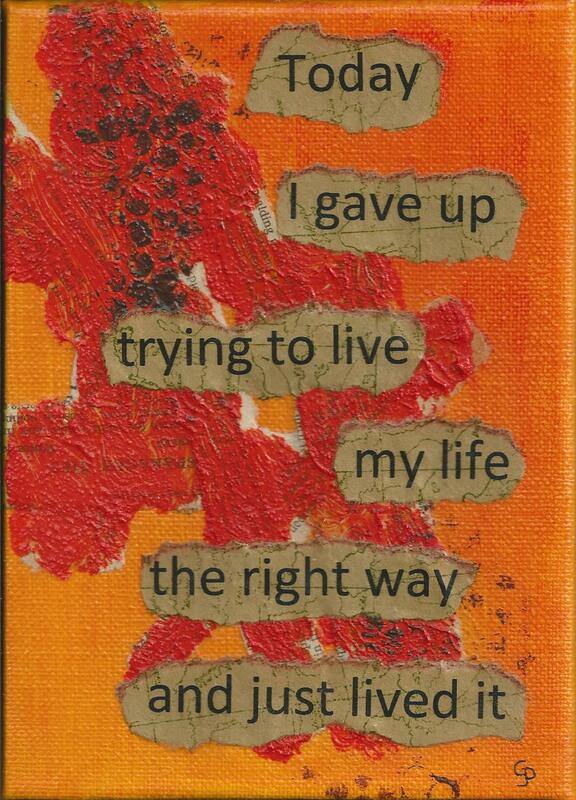 “Today I gave up trying to live my life the right way and just lived it“. 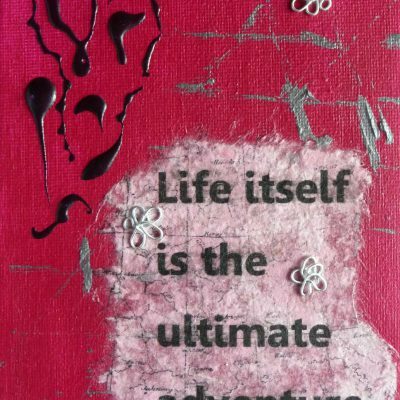 Created with acrylic paint and printed and recycled papers.